"Which nurses and buries you." In the midst of the current refugee crisis and Hungary’s prominent role in it, Roland Vranik’s new film is more than brave to touch upon this issue that both divides and dominates the contemporary European landscape of politics. The Citizen not only portrays one’s vulnerable and impossible position in the post-Socialist, white discourse but equally sheds light on the quotidian, micro-level experience of what it means to be Hungarian. Why do people want to belong to an economically less prosperous and often xenophobic country? Is language key to Hungarian identity? And most importantly, are Hungarians hostile towards refugees or is that perception only a propagandistic creation of media and politics? While meditating on the above-mentioned questions, The Citizen creates a poignant melodrama that portrays the lives of refugees from a first person perspective. Its protagonist, Wilson (Dr. Cake-Baly Marcelo), has been dreaming about and working on acquiring Hungarian citizenship but constantly fails the exams that would allow him to edge towards that goal. Because of the impossible questions that constitute the exam, which, among many others, cover topics of the Hungarian Renaissance, the constitution and structure of the country, Wilson is forced to seek help during the preparations for his next appointment with the jury. Mari (Ágnes Máhr), a Hungarian teacher and the sister of Wilson’s boss, comes to the man’s aid and the two sexagenarians soon start to develop a strong friendship. While we learn surprising facts about the country that would even flabbergast Hungarians – it turns out the swallow is a Hungarian bird, for instance – the relationship between Mari and Wilson slowly evolves into love. Making things more complicated than they already are, Wilson risks his status and bond with Mari by hiding refugee Shirin (Arghavan Shekari) at his place. Not only does the Iranian woman have no valid papers to reside in the country, but she also gives birth to a baby, which deeply affects the life of Wilson. Empathizing with the vulnerable position of his new flat mate, Wilson decides to take care of the woman and marry her once he gains Hungarian citizenship. His shared love life with Mari, however, exacerbates the already difficult situation, especially after the teacher decides to leave her husband and sons behind to live with Wilson. What this yields is a love-like triangle built on the refugee status and fluid future of the two foreigners that, as melodramatic obstacles, procrastinate the outcome of the story. Borrowing the well-known concept of interracial difference, Vrabuj builds a melodrama to the core. What makes The Citizen different from Rainer Werner Fassinder’s Ali: Fear Eats the Soul (Angst essen Seele auf, 1974), Todd Haynes’ Far from Heaven (2002), Hermine Huntgeburth’s The White Masai (Der weisse Massai, 2005) that – like many more films – all base their respective stories on such a conflict, is that Vranik places The Citizen into a hyperrealistic post-Socialist context. The seemingly central conflict, the impossible affection between Mari and Wilson, is embedded into the quotidian, micro-bureaucratic level of Hungarianness that gives the story a much deeper, second layer that slowly swallows the love thread. The relationship of the couple thus moves to the background, while Shirin’s refugee status and her struggle with not revealing herself to the public, overshadow the brimming emotions of Mari and Wilson. Instead of highlighting the impossible love, the melodramatic elements are used to underscore Wilson’s struggle with the authorities. First, he fails the hilarious exams where he is questioned about the meaning of Szózat (Appeal, Mihály Vörösmarty, 1836), the second national anthem of Hungary that expresses one’s eternal attachment to the motherland which “nurses and buries you”. Wilson is constantly provoked by the questions of the jury (why did he leave his home if he agrees with the message of the verse? ), but answers by describing the inhumane living conditions in his country. Despite speaking perfect Hungarian, the authorities reject his claim, thus supporting the man’s homeless status. At his next exam, he has to talk about the origins of Magyars, which he does persuasively while formulating his sentences in plural – “that is how we arrived here”. Despite this successful trial, the authorities deny the citizenship to Wilson. Although, as he states, he feels Hungarian and, as we see, he perfectly adapts himself to the local ways of life, becoming a Hungarian is much more difficult than it first seems. What makes a Hungarian if not the language and knowledge/awareness Wilson has so perfectly mastered? 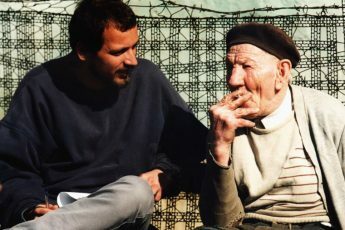 The film’s depressing answer to this question is simple: the knot that binds Hungarians – and, generally speaking, Eastern Europeans – together, is not customs and a shared heritage, but skin color. 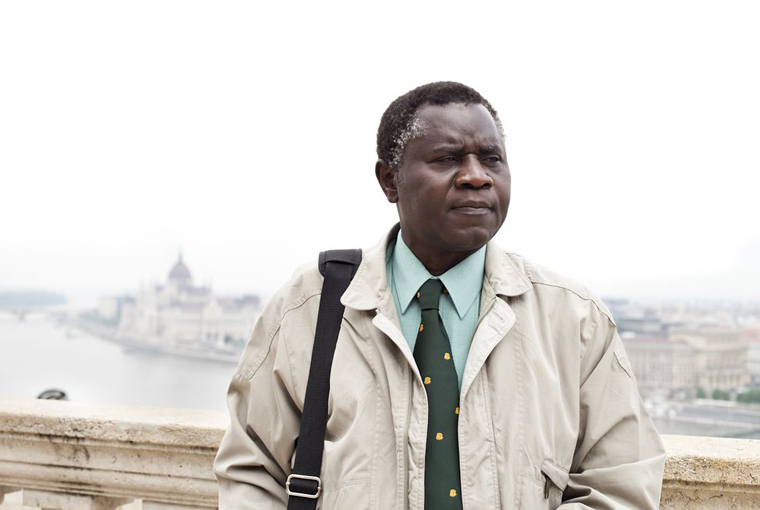 In the Immigration Office, Wilson is told that passing the exam does not automatically grant him Hungarian citizenship, especially not when he is from Africa. He gets upset and asks the administrator what she means by that, but due to his agitation, he must leave the room. This is the final eviction of Wilson from the Hungarian space of authorities and, at the same time, from Hungary. After the incident, he enters no more official buildings (even though he tries when Shirin gets deported to Iran). In total despair, Wilson visits the President’s residence but is sent home by security guards. He thus becomes a complete outsider, not only in conceptual, but in spatial terms too. His last interaction with the authorities happens when the police intrude into his home and arrest Shirin. After losing his private space through the violent entry of the police who take away his most cherished person, the daughter of Shirin, Wilson eventually gives up fighting for his citizenship. When he finally gets notified about his status in the country, he carelessly throws the letter on the table and leaves it behind. As the film illustrates, the real tragedy for Wilson is not the loss of Shirin and her daughter, or the break-up with Mari who called the police, but his utter disillusionment concerning everything he thought about Hungary and Hungarians. It is not only the inhumane circles of bureaucracy that embitter his life, but the betrayal of Mari who, as the very Hungarian figure of the film, secretly informs the police about the illegal status of Shirin. Eventually, betrayed and exiled, Wilson decides to leave the country and start over in Austria. Thanks to the very personal tone of the film that sheds light on the perspective of a refugee who seeks help in the country, the extreme poles of the European/welcoming and the anti-European/xenophobic understanding of the current crises get a new spin. Are Hungarians bad people who hate refugees and who, for this reason, build a fence to keep them outside? Are Hungarians xenophobic and anti-Islamic? The situation, as depicted in the film, is much more complex. The colleagues of Wilson are friendly, welcoming people who support him in claiming the prize for The Best Worker of Year at their company. Similarly, despite her family’s negative comments, Mari does her best to prepare Wilson for the exam while, just to help the man, Wilson’s butcher friend is willing to marry Shirin whom he does not even know. On the other hand, Wilson must endure racism on a daily basis, be that through the comments of an official person, the family of Mari, or at the hands of complete strangers. Although the two poles – welcoming culture vs. racist perspective – do not form a balance in the movie, Vranik dissociates himself from forming any kind of exact standpoint on Hungarian xenophobia. Contrary to any universalizing gesture, he uses an elegant and smart way to portray a society where – as in every larger group – both opinions can be found. Instead of focusing on the widely criticized xenophobic attitude of Hungarians, strong criticism of the nation enters the picture in the form of a history lesson that questions the very foundation of what it even means to be Hungarian. In one of the most brilliant scenes of The Citizen, Mari and Wilson visit the Hungarian National Gallery where they analyze Gyula Benczúr’s The Baptism of Vajk (Vajk megkeresztelése, 1875), a well-known painting that illustrates King Saint Stephen (I. István,), the first king of Hungary, as he adopts Christianity. According to official discourse, King Stephen is the most heroic figure of Hungarian history who erased paganism from Hungary by spreading the customs of the new religion. His brother, Koppány, who was supported by pagan warriors, was brutally executed by his order that was followed by severe reprisals against residual paganism. Ironically, his bloody reign is understood to have been one of the most prosperous epochs of Hungarian history. His date of becoming a saint is the number-one national celebration of the year, while the songs of Stephen, the King, (István, a Király, Levente Szörényi and János Bródy, 1983), the country’s most famous rock-opera that recounts his heroic deeds, is known by every Hungarian. When sitting in front of the painting in the National Gallery, Wilson remembers the story of István and the way his brother Koppány was ordered to be dismembered into four parts that would be exhibited in four different cities. Obviously, he does not understand how someone with such a bloody and aggressive history could become a beloved king. Mari answers with the officially recognized understanding of Hungarian history which states that Stephan had to act this way to save his country. Without him, the narrative tells us, there would be no Hungary today. Wilson starts enumerating all the execution forms that Stephan used to pressure people to convert to Christianity, while Mari argues that back then, it was normal to use such tools. It is obvious that in Wilson’s eyes, Stephan is not unlike the dictators from his home country who torture and butcher people for inexplicable reasons. When Mari argues that modern-day Hungary is built on Stephan’s heritage, it is not only the heroic personality of the famous king that gets questioned, but the very basis of Hungary’s self-understanding. How can Hungarians praise a king who erased an ancient religion and doomed non-believers? Was Christianity really the way Hungarians had to adopt? Was Koppány indeed an enemy as history books say, or is he the forgotten hero of an alternative Hungarian history? Has history lied to us? Thanks to the outsider perspective of Wilson, the film raises some fundamental issues regarding the very basis of what we think of modern-day Hungary and its cultural and historical heritage. Vranik highlights how rarely Hungarians question the myths of their country – and thus the messages of Hungary’s contemporary propaganda-broadcasts. The Citizen is an important attempt to help understand both the refugees and residents who respond to them either with love or hatred. After all, the action of Mari to inform the police of Shirin, is an understandable deed if one positions herself/himself in her situation. Similarly, Shirin’s decision to hide from the authorities and raise her baby in Wilson’s flat is another logical step if we consider the potentially lethal future that would await her upon returning to Iran. The police, as the constituted body of the state, also do the job they were assigned. Who do we have to blame, then? Who is responsible for the struggle of all the Wilsons, Maris and Shirins? Ironically, as Wilson suggests, it is our heroes, the dictators or dictator-like politicians and Saint Stephans who stand behind such stories. Vranik’s films should be praised in particular for its readiness to communicate such a courageous message. 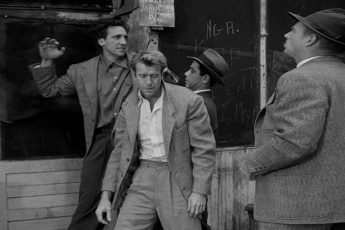 Shot in a minimalistic style, with often jittering images and close-up structures that focus on the figure of Wilson and his enclosed position, The Citizen creates a very Hungarian milieu that foregrounds both the positive and less promising sides and sites of it. The institutions are all Socialist, grey dwellings that give the images a depressing tone, which does however get countered by the flaneuring-shots of Wilson and Mari in Budapest’s glamorous historical center. Old and new, Socialist and modern, xenophobic and welcoming, black and white thus all clash and unite in shared sequences which create a heavy, post-Socialist atmosphere and thus another myth that Hungarians might want to re-investigate.